Think about the words “American history” and “Black Americans.” Chances are, images of slavery, Civil War, and racial discrimination. While we can’t deny that the United States had a dark past where Africans and Black Americans were mistreated and abused by White Americans (nor can we deny that racism and bigotry towards these people do not exist to this day), a lot of people may not be aware that Black history is so much more than the abuses they have faced. In fact, huge number of historical moments and important contributions to society were created by Black Americans. Here are just some Black Americans who overcame racial discrimination and managed to become a notable figure in American history. Their contributions not only affected other Black Americans, but the entire United States and even the rest of the world. Sarah Breedlove (1867-1919) earned the name Madam C.J. Walker after her third marriage to Charles Joseph Walker. Initially working as a laundress in a time where Black Americans could only find low-paying jobs, she suffered dandruff, hair, and skin disorders due to the harsh ingredients of soaps during that time. After finding work as a sales agent for Annie Malone, a hair-care entrepreneur who would later become her industry rival, Walker gained enough knowledge to start her own hair-care product line mixing petroleum jelly and sulfur. She founded the “Madam C.J. Walker Manufacturing Company” and taught black women how to groom, grow, and condition their hair through what would eventually be known as “The Walker System.” Thanks to her expansive marketing and advertising strategies, she brought her hair-care products across the country and even into neighboring countries. Because of her success, people were quick to call her the first self-made millionaire that was a woman in the United States and the richest black American during her time. Today, her net worth would have been worth around $10 million. Despite her success, though, Walker was also known as a generous woman. She trained black women how to budget their finances, start their businesses, and become financially independent. She was also a generous employer, establishing clubs for them and offering plenty of bonuses. She believed in the power of women and created a rule that only a woman could serve as president of her company, and was known to donate scholarships for black women and other charities. 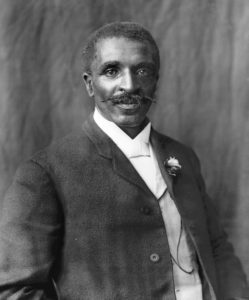 Dubbed the “Black Leonardo da Vinci” by Time in 1941, George Washington Carver (1860-1943) was a scientist whose inventions and studies went beyond race and helped both black and white Americans. 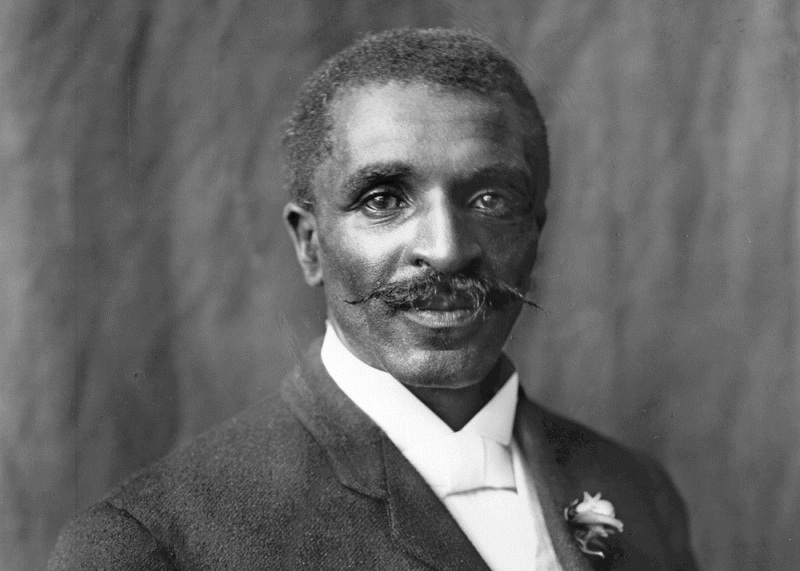 Born shortly before slavery was outlawed, Carver had the opportunity to get an education and eventually earned a master’s degree in agricultural science from the Iowa State University. Around that time, his degree was seen as unnecessary and merely an excuse to get out of doing farm work. Local farmers believed they knew everything about farming, and other students were only in it to get out of farming. However, he used his position to do research and continue to help poor farmers in the South, regardless of race. His research provided farmers plenty of useful information. Carver discovered that crop rotation (not planting the same thing on a plot of land after a harvest) resulted in replenished nutrients and a higher produce yield. He also convinced farmers to grow other crops such as peanuts, sweet potatoes, and soy beans. He also created over 105 food recipes using peanuts (though, contrary to popular belief, peanut butter was not one of them), though none of them became commercially profitable. After his death, Carver was given a national monument in his honor – the first Black American to receive one. 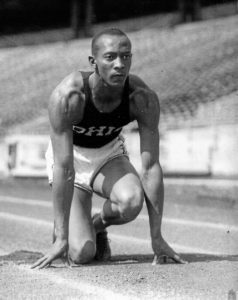 In the 1936 Olympics, athlete Jesse Owens (1913-1980) didn’t exactly stop World War II from happening a few years later, but it humiliated Adolf Hitler enough that he proved Hitler’s claims of a superior Aryan race was false. Hitler assumed power as chancellor of Germany in 1933, having rose to power with his anti-Jewish stance and pro-Aryan beliefs. When Germany hosted the 1936 Olympics, Hitler used it to showcase his power and his regime to both the Germans and international people watching all around the world. He notably kept Jewish athletes from competing, using the typical blond-haired, blue-eyed Aryans to prove a point. When the United States chose not to boycott the Olympics because of Hitler’s discrimination, Owens chose to compete. Hitler’s pro-Aryan beliefs also discriminated against black people, so when Owens won four gold medals in track and field, he was basically disproving the claim of Aryan supremacy. His success in the games would not be repeated again until 1984. It was so embarrassing that Hitler snubbed Owens by refusing to congratulate him, claiming he had declined to congratulate anyone on the first day of the competition in an effort to treat everyone fairly. While Germany went on to win the most number of medals in that Olympics, the fact that a black man had reached the best record that was held by a German in one day and bested his German competitors was not lost on everyone. Unfortunately, when Owens returned to the US, he was not awarded with a hero’s welcome. Facing racial discrimination at the time of the Great Depression, he was forced to race against horses and find other low-paying jobs until he became a government ambassador after 1950. Beyond racial discrimination and the hardships that come from it, these black Americans prove that everyone, regardless of their race that people use to define or prejudice them, is capable of achieving success. Perhaps it is time to stop judging people based on their race, age, gender, or other factors that won’t even matter once they’ve created an invention or reached a goal that anyone can achieve as long as they have the right mindset for it.